It may seem strange that you need a day off after only two days, but it has been so intense that it was badly needed! 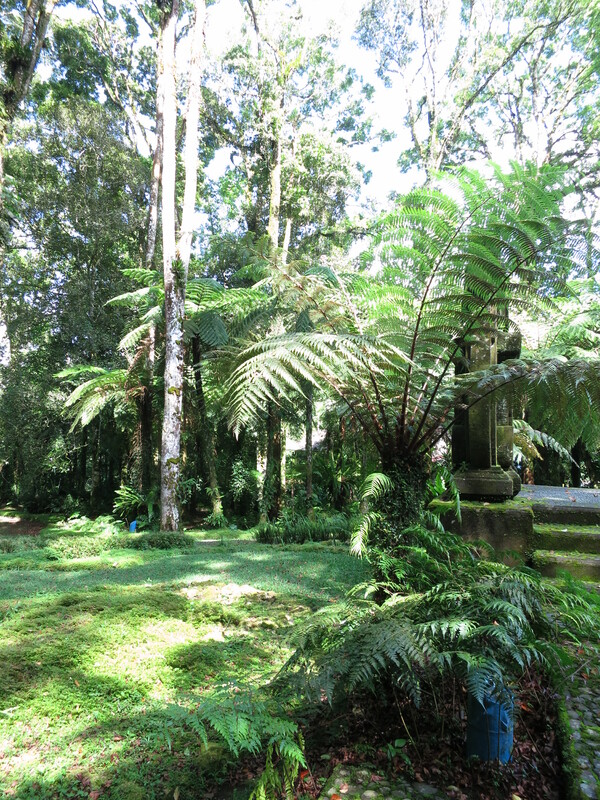 The BalticSeaWeed blog went up into the mountains and visited Bali’s botanical garden, where there were plenty of orchids and ferns. Fern trees are just lovely! We even got our guide to become totally confused when we stood and looked at a tree and photographed it for five minutes, instead of looking at the temple that we visited, or at least photographed the beautiful flowers. 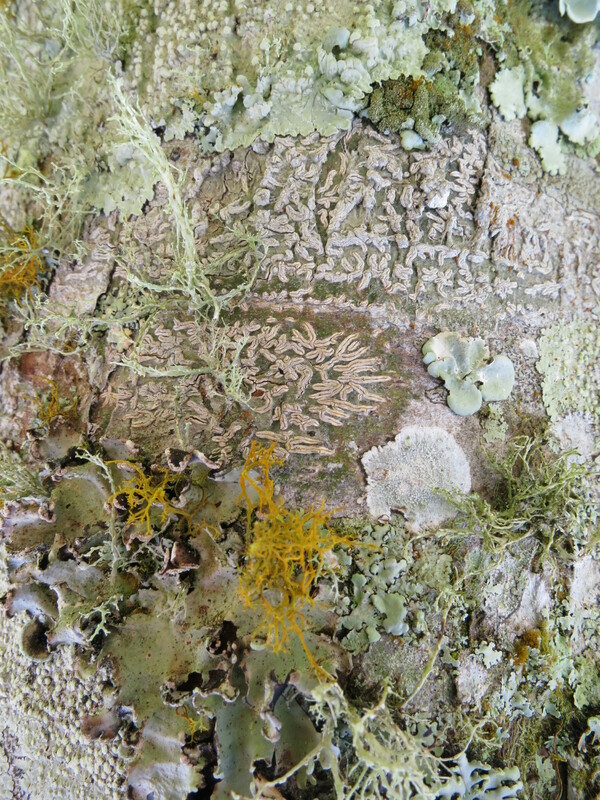 But the tree trunk was full of beautiful lichens, which actually consists of a fungus and an alga. Beautiful lichens on tree trunk. After a tumultuous first day, in which the brain was saturated with impressions of color, shape, flavor and facts, we now enter to the second day. Today it is presentation at the mini-symposium on my part, and in the afternoon it is the poster session for me and Lena. Our poster, with rubber receptacles. 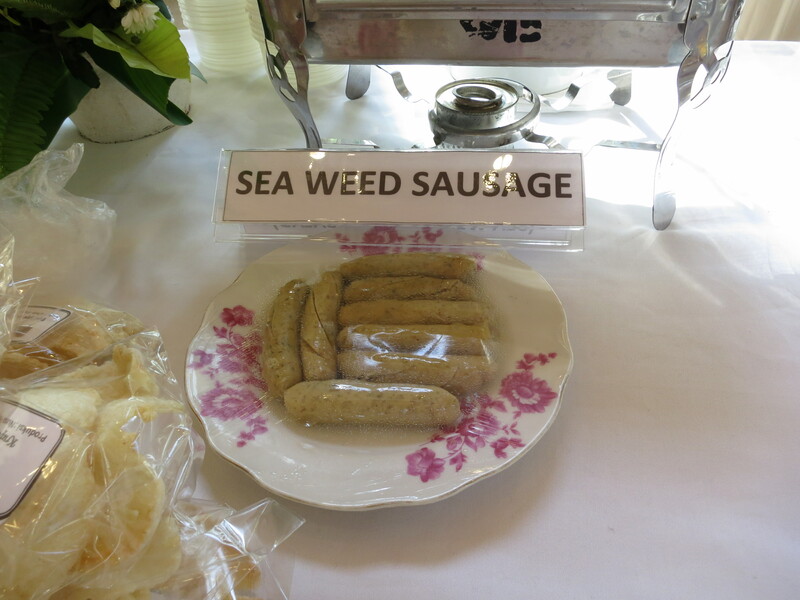 During the coffee breaks one can eat anything and everything that is based on seaweed. 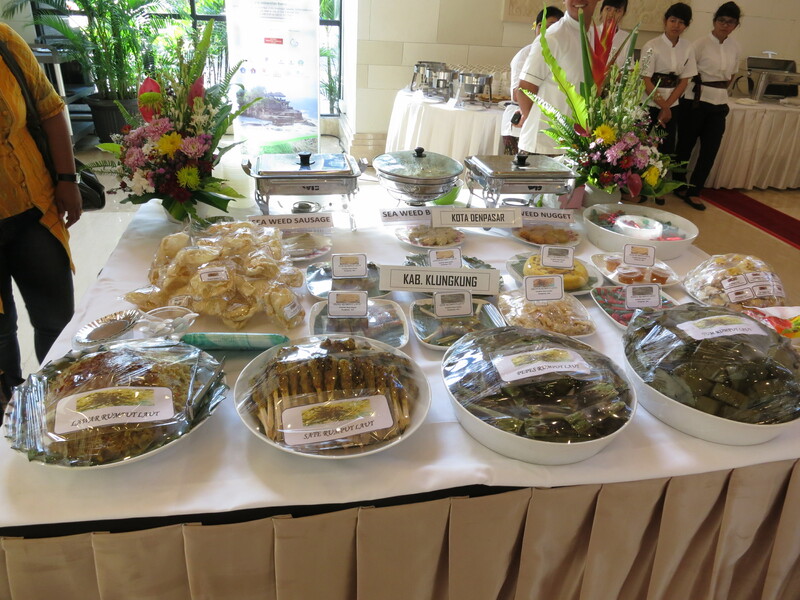 It gets very jello… We have also tried seaweed sausages, seaweed nuggets, seaweed-sate (this was the tastiest, very nice and spicy) and seaweed pepes (wrapped in banana leaves and grilled). Should we even comment on this one? There are MANY ways of using algae in cooking. 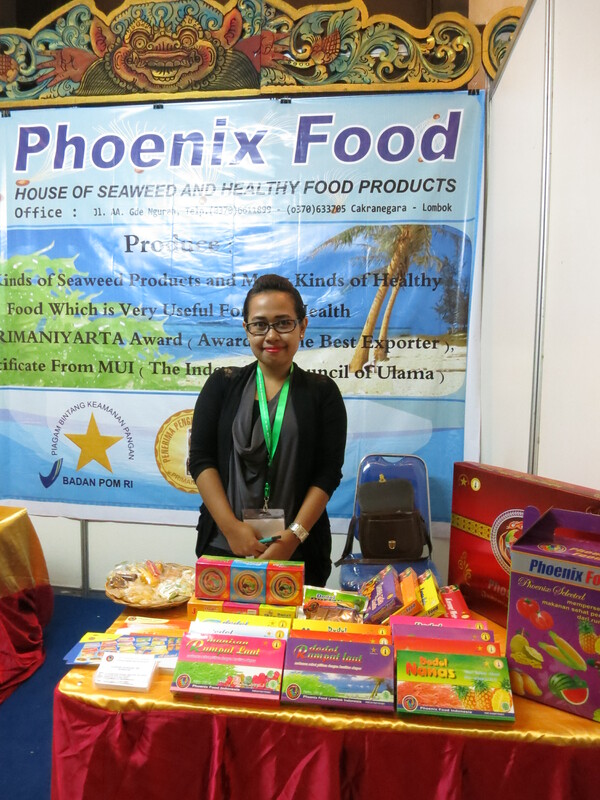 We aim to find as many seaweed-products as possible to take home with us. But first, a summary of the mornings scientific talks. 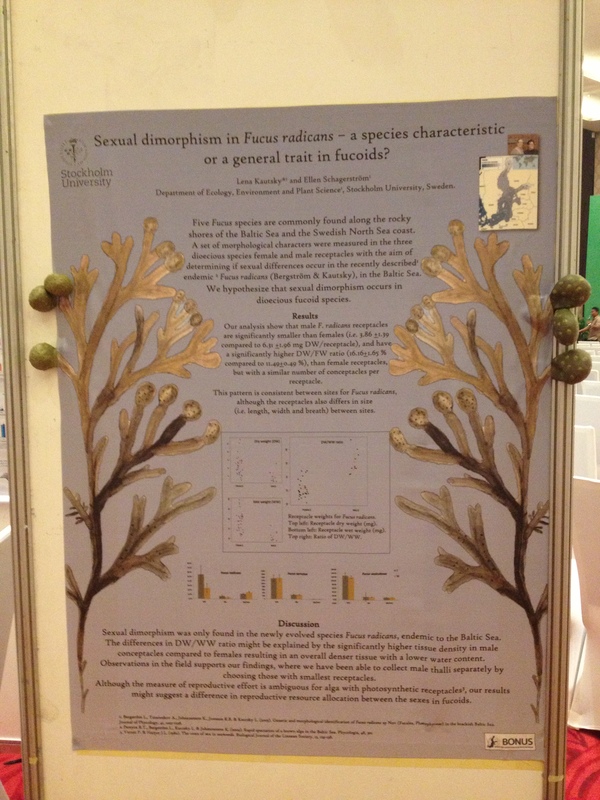 Mini-Symposium: Human and natural impacts on seaweed beds. Dr. Muraoka and Dr. Fujita, both from Japan, showed how the tsunami that hit the Japanese East Coast In March 2011 has affected life in the sea. This was very interesting, because the news have generally focused on what happened on land. In areas near the epicenter, a large acreage of seagrass meadows has disappeared. The tsunami swept over the smaller peninsulas and also destroyed many sheltered bays. But now, in 2012, it has begun to recover. However, it will take a few years, but it points in the right direction. One of the major problems for plant life in the ocean was all the particles that were flushed out in the water. This hindered light from penetrating any deeper than 4 meters. In Onmae Bay, there was many fish- and mussel farms before the tsunami. There were problems with fouling of the kelp species Saccharina japonica on cultivation cages and mussel ropes. An estimated 90 tons (!) of kelp grew on the farms per year. This compares to one ton of kelp from the protected rocky shores near (where sea urchins grazed extensively) and 10 tons from more wave exposed places where sea urchins could not graze. The growth of Saccharina japonica is also favored by the nutrients coming from fish- and mussel farms. From the time of reproduction in November until May they grew a full 2 meters! The kelp is favored by good water circulation, which was higher out on the farms than on the natural hard bottom. Today, there are large amounts of garbage from every house and car that were washed out to sea by the tsunami wave. Many breakwaters and other structures that sheltered beaches also disappeared. This has benefited the recovery of the kelp, as its worst enemy, the sea urchins, cannot graze as intensively in areas with large waves. As they are beginning to recover from the disaster, the sea urchin fishery have commenced again. This has also helped the kelp to re-establish. As the kelp has come back again as fouling out on the new farms, it is now a different species, Petalonia fascia, which dominates. This proved to be a problem, because it is not nearly as efficient at taking up nitrate and ammonium as Saccharina japonica. It therefore has become a problem of high nitrogen levels in the cages. 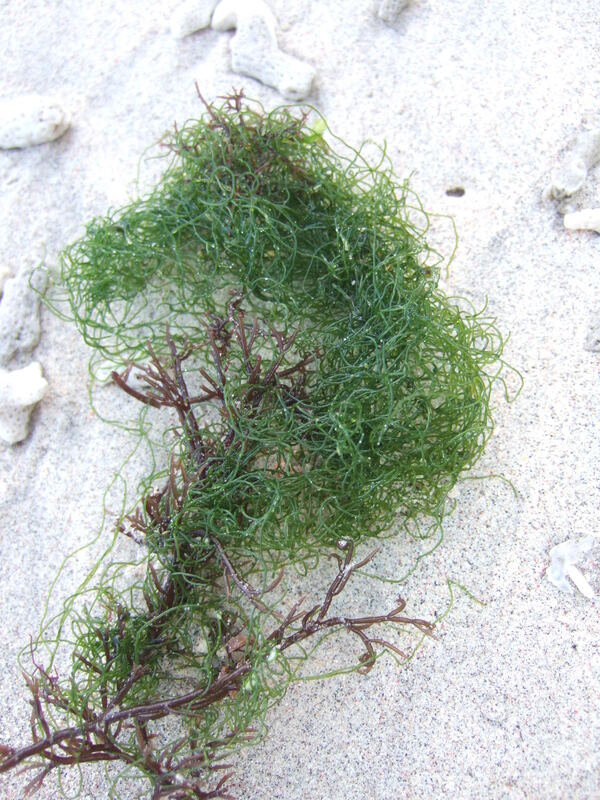 There is a difference between seaweed and seaweed, you see. So, now they are working to bring back the “right” kelp, Saccharina japonica, to avoid the kind of problems that can be caused by too much nutrients in the water. 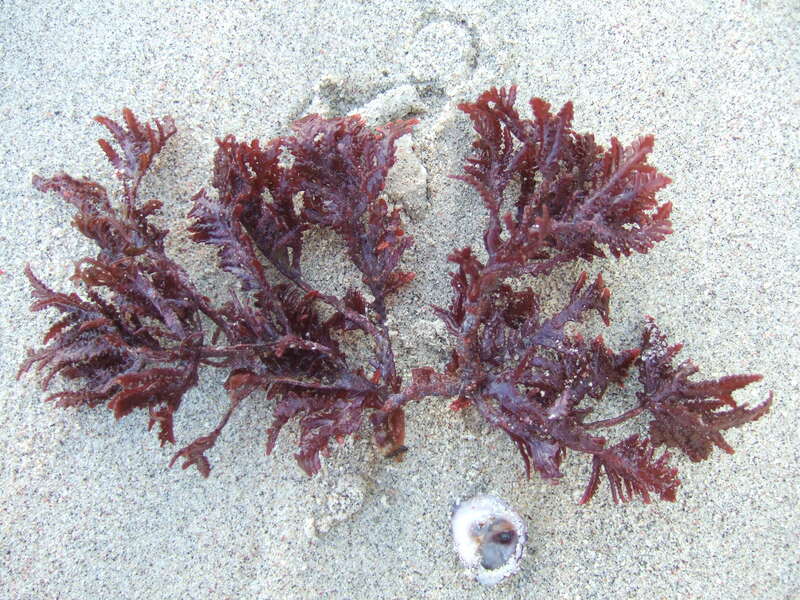 The worst of these are blooms of microalgae, so-called red tides, which can also cause shell toxin blooms, where toxic algae accumulate in mussels and other filter feeders, which becomes deadly if consumed. So, although the system was influenced very strongly by the tsunami, it’s slowly recovering. The recurring themes in most presentations are about the importance of educating local people and create awareness. Both regarding how to grow and harvest seaweed, but also to explain the benefits and importance of creating an integrated aquaculture with many different species for an ecologically sustainable use of the ocean. This is not a problem unique to the tropical countries. Ignorance of how to create sustainable aquaculture is found in all countries. When aquaculture first came into the limelight during the 70’s, it was first seen as the solution to the problem of protein deficiency. But it was soon discovered that large monocultures fed intensively, sometimes even with large amounts of antibiotics, were not as good as first believed. They created negative effects, and the general opinion about aquaculture turned to become negative. To only cultivate large quantities of a single species that is in the top of the food chain is not the best way to engage in aquaculture. By co-culturing, as many gardeners know the profitability of, you can both reduce the negative effects of nutrients and also gain one or more additional products that provide income. Additionally, it provides a redundancy, not to put all eggs in one basket. Too high a density of a species makes it vulnerable to diseases and parasites. By growing more sparse, but overall more, you avoid risking the harvest to a nasty little parasite or a virus and you do not need to use antibiotics to the same extent. After a long and cold winter in Sweden, it is finally time for the 21st Intenational Seaweed Symposium to kick off in Bali. There are more than 500 participants and the program is full of interesting talks, mini-symposia and posters. For full details, download the programs on the symposium website. We will endeavour to summarize the different topics presented during the symposia, so that our followers have plenty to discuss over coffee or tea. 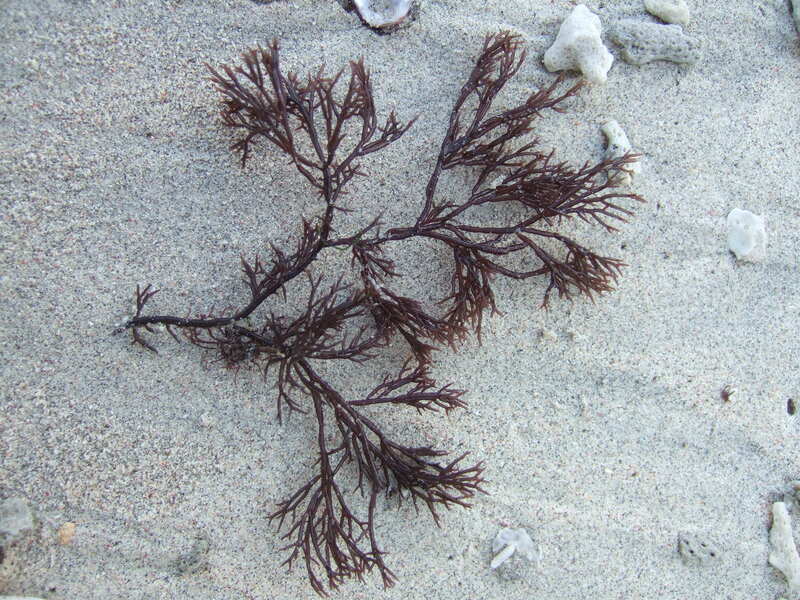 While we are waiting for the registration to open, here are som pictures of seaweed that we have already found, while acklimatizing to the climate and timezone (read: been on a holiday here). Enjoy! This one reminds me of Furcellaria lumbricalis.